For those truly serious hikers who want to experience the Yellowstone backcountry, we offer a drop camp service. Let us pack your gear into a designated base camp. From that camp you can easily begin to explore Yellowstone's vast wilderness without the burden of carrying heavy packs. Our mules will carry your gear into the most remote regions of the park. You can bring the gear that makes your camping, hiking and cooking a more enjoyable experience. With our help, you can eat eggs and bacon for breakfast and steak for dinner, and you can eat them while sitting in a chair! Need us to come along and cook? We can do that, too. 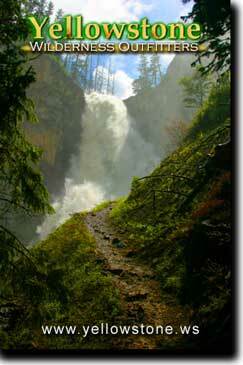 We can recommend the best hiking spots in Yellowstone. No part of the park is too remote when our mules are carrying your gear. Check our Calendar for availability. © 2013 Yellowstone Wilderness Outfitters, all rights reserved.